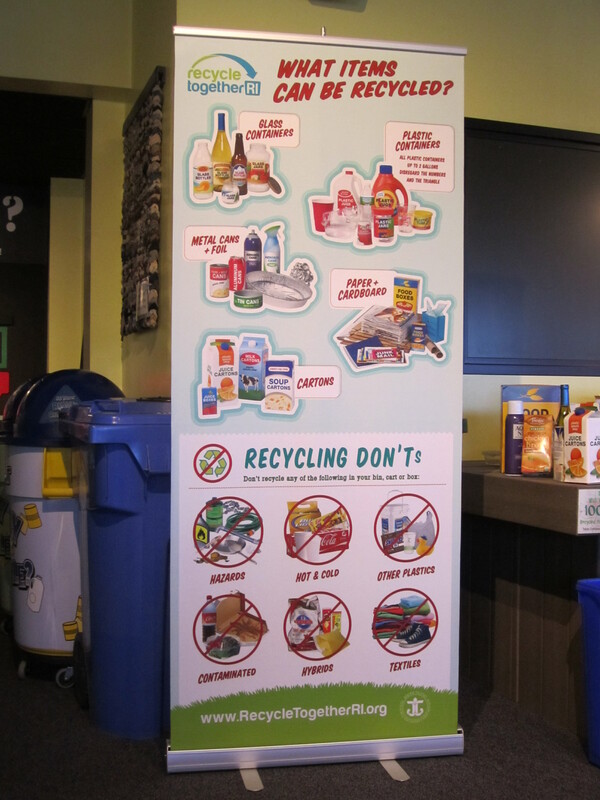 These days, many planners ask venues to provide a recycling program for their event. But what happens to your event waste when it leaves the building? 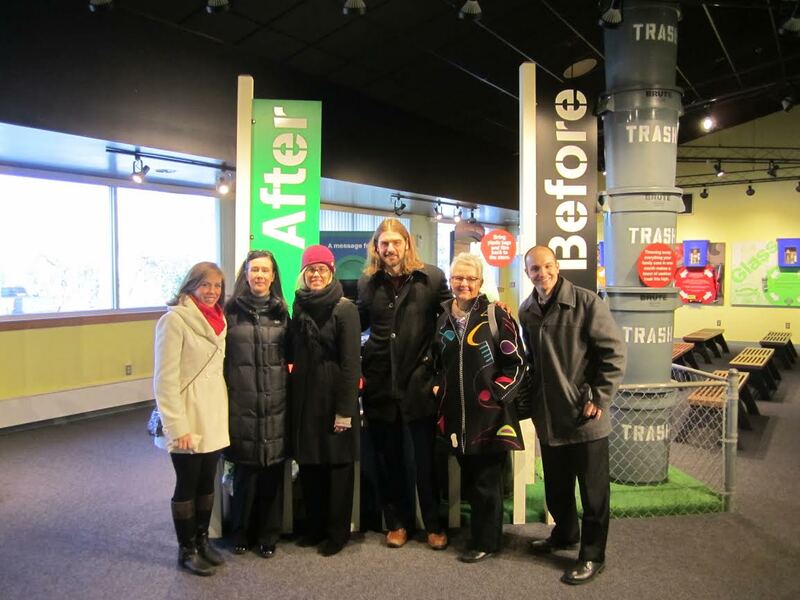 Every year, the Unitarian Universalist Association (UUA) finds out by integrating an offsite waste management tour into their pre-event General Assembly site visit. Why do they do it? What do they learn and how can you plan your own? Read on to find out! What is an offsite waste management tour? This activity takes event planning team members to visit the facilities that receive left-over event materials. It takes 2-3 hours and typically includes a stop at a recycling plant (or perhaps more than one), and a composting facility. UUA’s tour takes place eight months before their event and includes UUA staff, MeetGreen, venue, catering and convention and visitor bureau employees, and interested UUA event committee members. Earl Newland of Newland Farm shows UUA’s Jan Sneegas and Paul Frade of PF Trading what happens when clean yard trimmings are combined with nutrient rich food waste from events: happy, healthy soil! 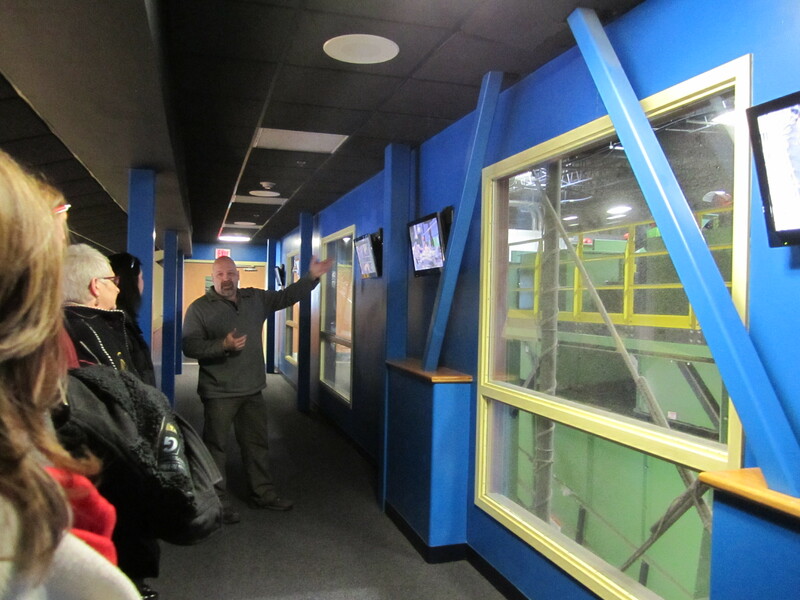 Why an offsite waste management tour? UUA has committed to reduce landfill and all types of waste at their General Assembly. They’ve been able to divert as much as 87% of event waste by recycling, composting and donating event discards, and have trimmed landfill to 1/3 of a pound per attendee. 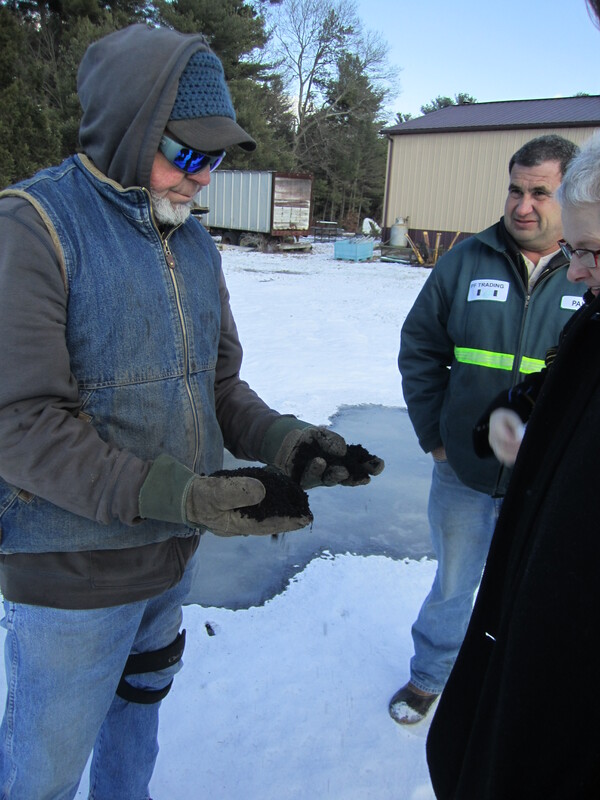 By visiting waste facilities, UUA learns what kind of waste is accepted and discouraged. This is important, because recyclable and compostable materials can vary city to city and learning what waste can be kept from landfill helps organizers reduce environmental impacts, and save money. How? In many cities it can be more expensive to haul trash than recycle it. For example one city may charge you 30 cents per pound for recycling, while landfill is 34 cents per pound. The difference may not seem like a lot, but learning how to follow the “recycling rules”could save a group hosting a 4000-person conference about $1000 in waste charges, not including any source reduction. In the case of UUA’s current event city, Providence, we learned waste operators who use the Rhode Island Resource Recovery Center’s landfill are charged a fee, but are also able to drop off recyclables free of charge, presenting a big incentive to recycle! Inspecting recycling plants also ensures facilities that take event waste are managed responsibly, with attention to worker health and safety, an important issue for UUA. Visits help those involved in the event to identify materials that should be avoided, and those that can be safely recycled or composted. This helps organizers provide guidelines to vendors, exhibitors and participants. 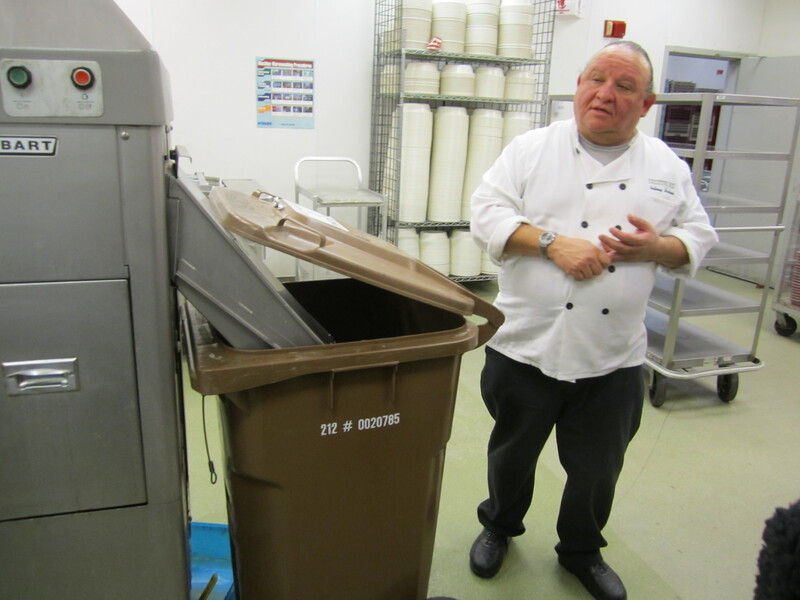 It can also educate facility staff, who may not have previously participated in a recycling or composting tour, about how to make permanent improvements to their own waste programs. Interaction with facility managers also helps UUA learn where event waste ultimately winds up. For example, we learned from our recycling plant guide in Rhode Island that most containers from their plant stay on-continent, but that some metals and paper can go to markets overseas. We also learned about how difficult it is to handle and find markets for glass, encouraging us to avoid using it. And for UUs reading this post: you can help us reduce waste by bringing and reusing your coffee up at General Assembly! How can you do your own waste management offsite? UUA’s waste objectives are communicated to local vendors and the convention and visitors bureau very early on, prior to contracting. Participation in an event waste plan is required in agreements, and includes a site visit to waste facilities as a standard action step. UUA works with the convention center to identify locations that receive waste and the CVB coordinates tours during one of the site visits conducted pre-event. Interested in learning more about the Rhode Island recovery facility where UUA’s event materials will be recycled? Check out this video. ← Short Film Friday: Does your event serve fair food? Loved reading about this! I’m student studying event management at Johnson & Wales University which is based in Providence, RI, and would love for our chapter of MPI to be able to do a site vist like this! Do you know who I should contact to see if it would be a possibility?Would it be the Providence/Warwick CVB? Hi Abi – thanks for your note. We arranged our trip through the convention centre and CVB. I’ll email you with more details. Best of luck with your studies!